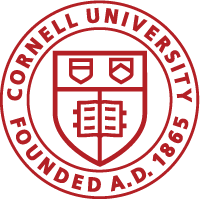 The Essential Guide to Academic Integrity at Cornell is a print-friendly document that includes the actual Code of Academic Integrity together with advice about acknowledging the work of others, dealing with online sources, etc. A 14-minute video entitled Cheating is available for Cornell students. We recommend that course websites and online syllabi provide a link to this webpage. In addition, even though this policy is highlighted during orientation and at semester start, it is a good idea for both instructors and students to discuss academic integrity before prelims, finals, and all major due dates. These guidelines do not substitute for the Code itself. In any specific case, as individual circumstances dictate, the Chair and Board of any college have the authority to use their discretion to interpret the Code and, based on that interpretation, deviate from the processes described here.